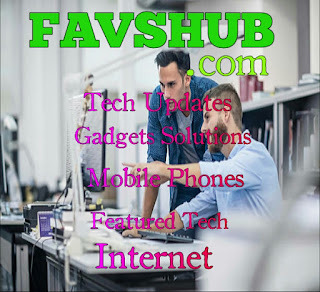 Fav's Hub is an online technology website whose sole purpose is to keep you updated on tech informations ranging fron news, gadgets, network & internet, and also featured articles which will be beneficial to our audiences. We are dedicated to providing high quality contents to our audience. FavsHub also provide small business ideas in our little way to assist aspiring entrepreneurs and youths in employing themselves rather than waiting for the government. This category consist of articles which isn't really our niche, but beneficial to our audience. Some of which include content marketing and others. FavsHub gives you solutions and tips for android devices. We feature latest mobile from top manufacturers like Apple, Samsung, Huawei, Sony, Nokia, and other notable manufacturers. FavsHub also post honest and competent reviews of different gadgets. Latest informations on TV Networks, ISP, Data Plans, and Telecoms. The inclusion of this category is to help reduce the unemployment rate in Nigeria. This column consist of skill acquisitions, small business startups; and strategies to improve your business, maximize your profits. Everyday we feature the best and biggest tech stories on the web. You could also submit your post to us at absolutely no cost. Visit our submit post page to know how. FavsHub.com offers the above at absolutely no cause to you. Don't forget to invite your friends.